Back in October 2013 an AMERICAN customer (Ransom Holbrook), SMASHED the standing mile speed record. The record had stood for 6 years at 228 mph and yet, in a world where records seldom improve by more than a mph or two, Ransom improved it by almost TEN MPH. A full report can be found on our web page here; http://www.noswizard.com/news/ransomholbrookworldrecord/ Or lower down in our Facebook page. Since then Ransom has been biding his time waiting for the weather to allow him to have another shot at it but unfortunately, as most of us have experienced, the weather has been very unpredictable, so it’s been a long wait for him. While he was waiting he decided to upgrade the WON Pulsoid systems to a WON REVO system which also required the addition of a Max Extreme, so it would be reasonable to expect that with such major changes, he’d take a few runs to even get close to his previous best results but thankfully that was not to be the case. The following is Ransom’s own report of his recent DESTRUCTION of what was already his own AWESOME WORLD RECORD; I switched the bike over to the REVO system after my first event last year. I increase the spray to a little more 200 HP in 5th and 6th gear (400+ total at the wheels), knowing that it should propel me to over 240 MPH in the mile. However, I also know too well, that at these elevated speeds, I had to wait until the weather conditions were on the calm side. The rest of 2015 was not weather kind at all, the nitrous bike basically sat in the pits because of the huge crosswinds or rains that we experienced at these events. The first event of 2016 wasn’t much better. The first day of the 3-day event at Wilmington was plagued by a 16 mph crosswind. I did try a couple of runs that day, only to be blown around so badly that I had to abort the runs at the 1/2-mile mark. I knew the bike was running exceptionally well because the data logs showed my speed just north of 210 mph at the 1/2 mile where I backed off. I figured out however, when full power came on in 5th gear the front would lift and the cross wind would carry the bike across the track. Basically, Unicycles don’t do too well with a crosswind. The morning of the second day the winds had shifted to a trailing cross and calmed somewhat, but still way less than ideal. The other racers were having problems that morning with mechanical issues or wind issues and we experienced several delays and finally I was up. The REVO system is phenomenal! The bike made great power all the way down the track, even in 6th gear where I normally would feel the rate of acceleration slowing, the bike just kept pulling hard. The run was not perfect by any means, I had to fight the wind too much, but the speed at the traps: 244.2997 mph says it was a successful one. I was so elated that I drove directly back to the pre-staging lanes to make another pass, however the wind had other plans and just a minutes later a turbo Hayabusa had a very bad wreck, shutting the track down for the rest of the day. Sunday, the winds once again had changed to a dead cross and I didn’t run. However, the 244 pass was the fastest overall at the meet. BTW, this meet was the official Hot Rod magazines street car challenge and I don’t think they were all that happy, that I went faster than any car has at Willmington, ever. So in conclusion, since I switched from the NOS brand kit to the WON system; I’ve been the first nitrous bike in the USA to eclipse 230 mph, the fastest nitrous bike in the world at a sanctioned LSR event at 238 mph, and now the only nitrous bike to break 240 mph in the USA plus resetting the world nitrous timed event record at 244+ mph. In addition, after the 244 pass, I was notified that I was added to the fastest 50 motorcycle riders list in the world. This list includes any distance ran, any time in history, and any form of propulsion, including rocket powered. Not too shabby. My future plans are to journey to Loring Maine in July to try for the 250 mph mark and receive the illusive AA competition license. Thanks for all your help and wisdom. Ransom all confirmed that to his knowledge NO other bike using ANY US brand nitrous kit, has even managed to break the 230 MPH barrier, never mind get close to his OLD record, so there’s NO chance of anyone beating his existing one, unless they are also using a WON system, which as it happens, a few more are in the process of doing, so watch out for results from those in the near future. Anyone who still thinks ANY US brand kit even comes close to the capabilities of a WON system, needs to remove the blinkers and GET REAL!!! This is CONCLUSIVE proof that WON systems are VASTLY SUPERIOR to ALL other brands, as it demonstrates not only short term/distance superiority but the MUCH HARDER to achieve, LONG term/distance superiority and therefore RELIABILITY!!!! HUGE CONGRATULATIONS TO RANSOM HOLBROOK FOR NOT ONLY BACKING UP HIS RECORD BUT FOR DESTROYING IT IN THE PROCESS. 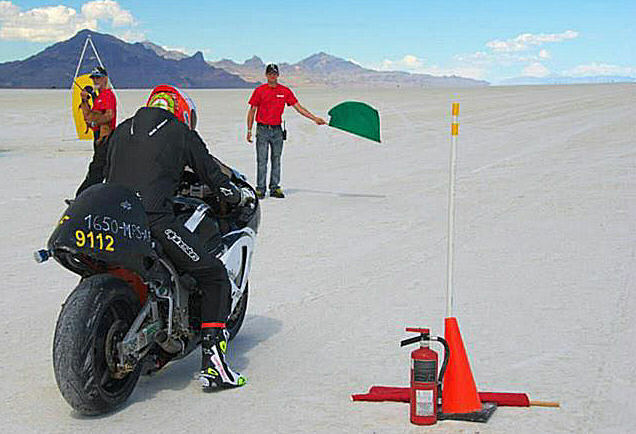 Fastest nitrous bike world record attempt by WON customers from Finland at Bonneville. This year’s Bonneville event was a few months ago now but with all that’s been going on since then, this is the first chance I’ve had to post a report on it. Below is a report from one of the team of our customer in Finland who went to Bonneville this year in order to try and set a new top speed record for a nitrous bike. We’ve been manufacturing our MaxFlow valve for approx. 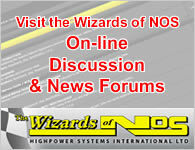 10 to 15 years now but as we’ve just launched a new and improved version due to increasing demand from high end American Drag car racers, I thought it would be worth updating everyone about the UNIQUE features the whole range offers and in particular, the latest features offered by our new Pro Race valve. The times they are a changing (as the song goes) and so are our opening days/times. Ransom Holbrook BLITZES existing Standing Mile WORLD RECORD to become THE FASTEST NITROUS BIKE IN THE WORLD and gives notice to the turbo guys of his intentions for next season.